How to watch Star Wars: Episode I: The Phantom Menace (1999) on Netflix Singapore! Sorry, Star Wars: Episode I: The Phantom Menace is not available on Singaporean Netflix, but you can unlock it right now in Singapore and start watching! With a few simple steps you can change your Netflix region to a country like Argentina and start watching Argentine Netflix, which includes Star Wars: Episode I: The Phantom Menace. We'll keep checking Netflix Singapore for Star Wars: Episode I: The Phantom Menace, and this page will be updated with any changes. 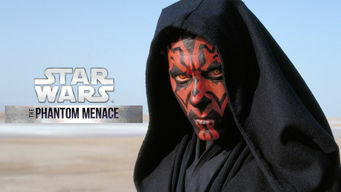 Star Wars: Episode I: The Phantom Menace is not available in Singapore BUT it can be unlocked and viewed! In this "Star Wars" prequel, Jedi Qui-Gon Jinn and Obi-Wan Kenobi meet a boy with a rare gift while racing to protect Queen Amidala from an evil plot. As a mysterious evil ripples through the galaxy, a boy emerges from the desert sands and the adventure begins. There is a way to watch Star Wars: Episode I: The Phantom Menace in Singapore, even though it isn't currently available on Netflix locally. What you need is a system that lets you change your Netflix country. With a few simple steps you can be watching Star Wars: Episode I: The Phantom Menace and thousands of other titles! Watch "Star Wars: Episode I: The Phantom Menace"